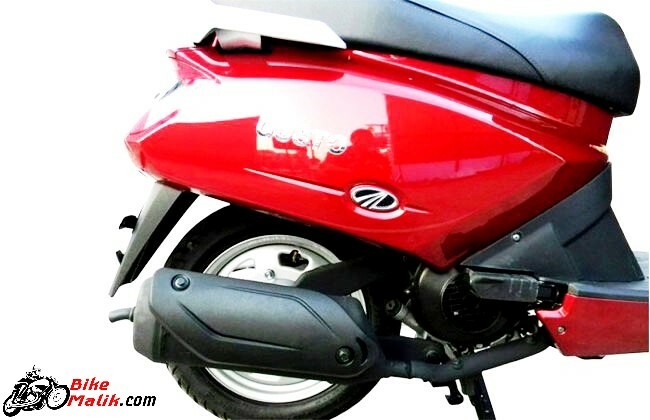 Another scooter from the reputed 2-wheeler manufacturer ‘Mahindra’ made its stance in the market as ‘Gusto 110’. 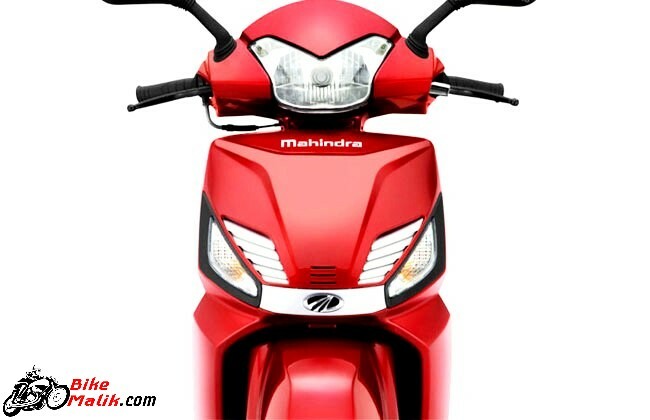 The Mahindra Gusto 110 is the scooter that carries the contemporary design language with innovative technological features. The Gusto 110 is the premium scooter that steals the heart of scooter enthusiasts with high-end features. As said, it is the first scooter, to boast guide lamp, find-me lamps, height-adjustable seat and remote flip key as the prominent featuring that mesmerizes the passing crowd on the road. As said earlier, Mahindra Gusto carries all the astounding features & design elements that quake the most of the existing segment scooters. 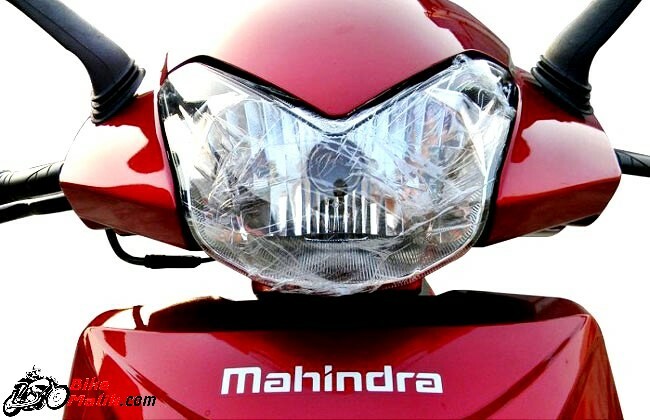 The front of the scooter gets an elegant design with the Mahindra logo on the belt, which connects the turn blinkers and sturdy plastic grills. The headlamp with LED pilot lights with rearview mirrors gives good stance to the scooter from the front angle. The legroom of the scooter is ample for both the short & giant riders. The most alluring feature in the Gusto 110 is the seat height adjusting feature, which provides all the comfort to the rider to the extent. While the aluminum grab rail at the rear elevates the overall stance of the bike. The under-seat storage space, hooks, and pocket-storage beneath the instrument panel provides easy access to the user. 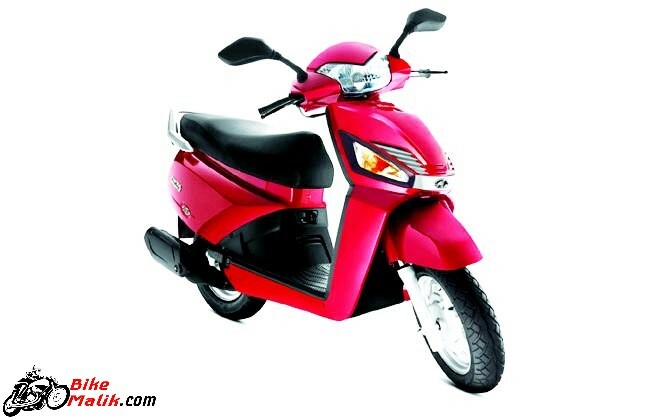 The unique features in the scooter are find-me lamps, remote flip key, which was guiding lamp that eases you to locate the ignition whole in dark. The instrument console gets displays analog info like speedometer, odometer and the fuel gauge. 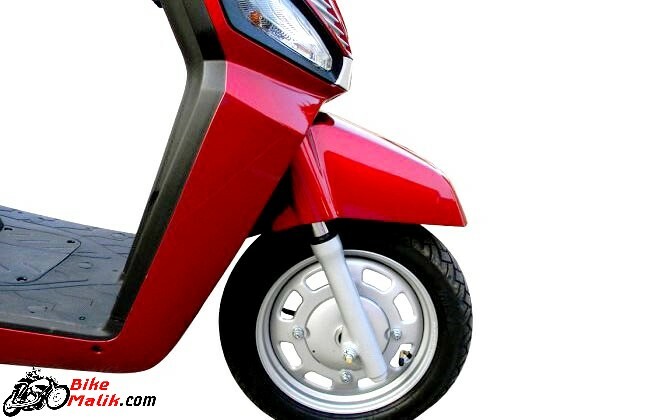 The scooter measures 1825mm long, 697mm wide and 1188mm high with 165mm of decent ground clearance gives no flaws on the road. While the 1275mm of wheelbase gives ample driving experience at corners. 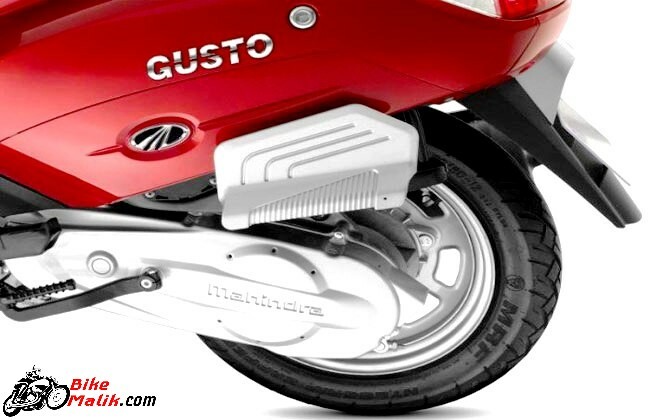 The Gusto gets all the power from a 109.6cc, M-TEC 4-stroke, air-cooled engine that produces a peak power of 8bhp @ 7,500rpm with a maximum torque figure of 9Nm @ 5,500rpm. The CVT transmission system works efficiently to power the scooter forward. The scooter now returns an efficient mileage figure of 63.7 Km/l, which was a decent fuel figure in times. This daily commuting scooter gives no flaws to the rider and thus manoeuvring of the scooter at top speed is easy for the unisex. 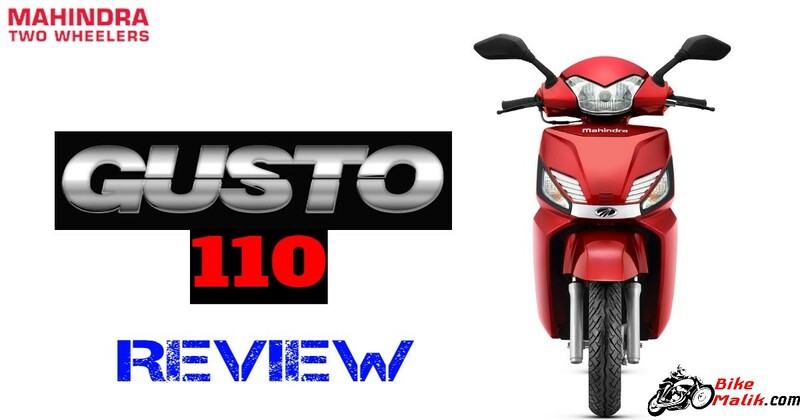 Coming to the driving dynamics, Gusto 110 provides better handling capabilities to the unisex riders, not only in the easy roads but also on uneven tarmacs, potholes, bumps etc. 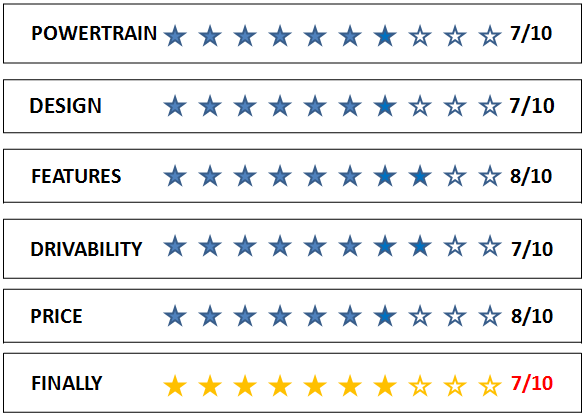 The easy rides are possible with the reliable braking & suspension setup. For this, the 130mm drum brakes at both the front & rear ends, completes the braking duties with utmost priority. The only concern is the lack of disc brake option, which provides further assistance to the rider. The stress-free rides are possible with the telescopic fork at the front & air-spring suspension and the coil type hydraulic shock absorbers at the rear. While the 90/90-12 section tubeless tyres mounted on 12-inch alloy wheels ensure acquired grip on the wet & disturbed surfaces. And also escape you from the unwanted punctures. The 12-inch alloy wheels are the standout feature in the scooter. For safety concern, the 130mm drum brakes, guide lamp, find-me lamps, the remote flip key with LED, tubeless tyres provides secure rides to both the rider & pillion. 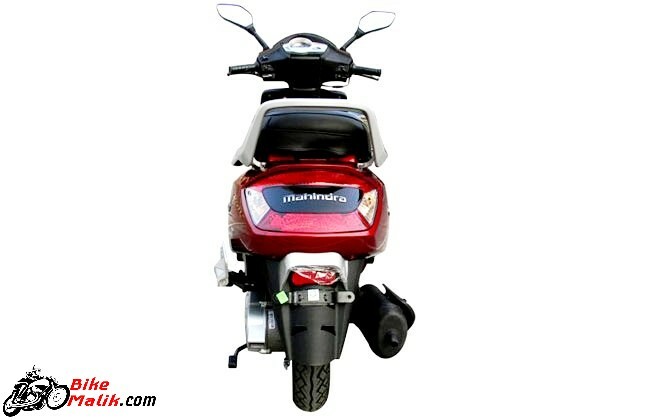 Mahindra Gusto contends with the segment rivals like TVS Jupiter, Honda Activa and the Suzuki Let’s. 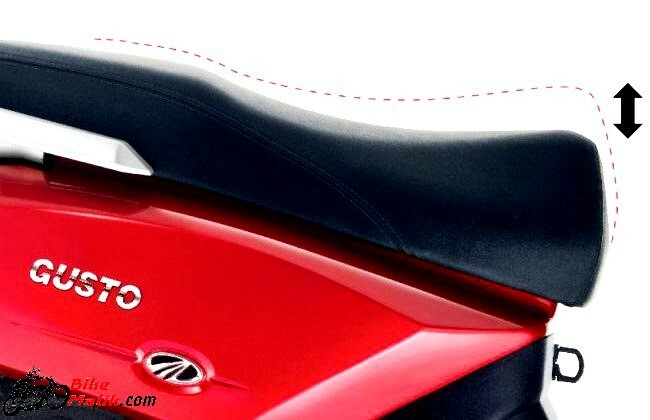 Being the first scooter in the 110cc segment Mahindra Gusto has all the responsibility to be a standout scooter in the segment and also in the Mahindra’s portfolio. All the exciting features surely make the unisex scooter a choosable model in the market.